Mental health issues are often not talked about, especially among entrepreneurs. Everyone likes to pretend they are just fine, even when they are not. I used to be this way. Now, I have the courage to admit that I’ve suffered from severe depression and even tried to kill myself. But I have also learned many coping strategies over the years, including how to achieve entrepreneurial excellence. I have also learned that entrepreneurship is a better choice for people with mental health issues (as opposed to working for someone else). Today, we’ll look at why this is. So, you have mental health issues. But, you also want to become an entrepreneur. You have this big plan, but you are also scared because you don’t know if you can handle it, emotionally or mentally. This is a common feeling for people who suffer from mental health challenges. Sometimes, mental health issues can make working for others quite difficult, especially if they do not understand what you have to face on a daily basis. Sometimes, it is hard for those who have never faced mental health problems to truly understand what someone who has them actually experience. According to The Dark Side of Entrepreneurship, rates of depression, ADHD, bipolar disorder, anxiety, and addiction are reportedly much higher among entrepreneurs than the general population. Part of that comes through the stress of entrepreneurship, but also reflects the fact that, for many, working for themselves while having mental health issues is just more desirable. 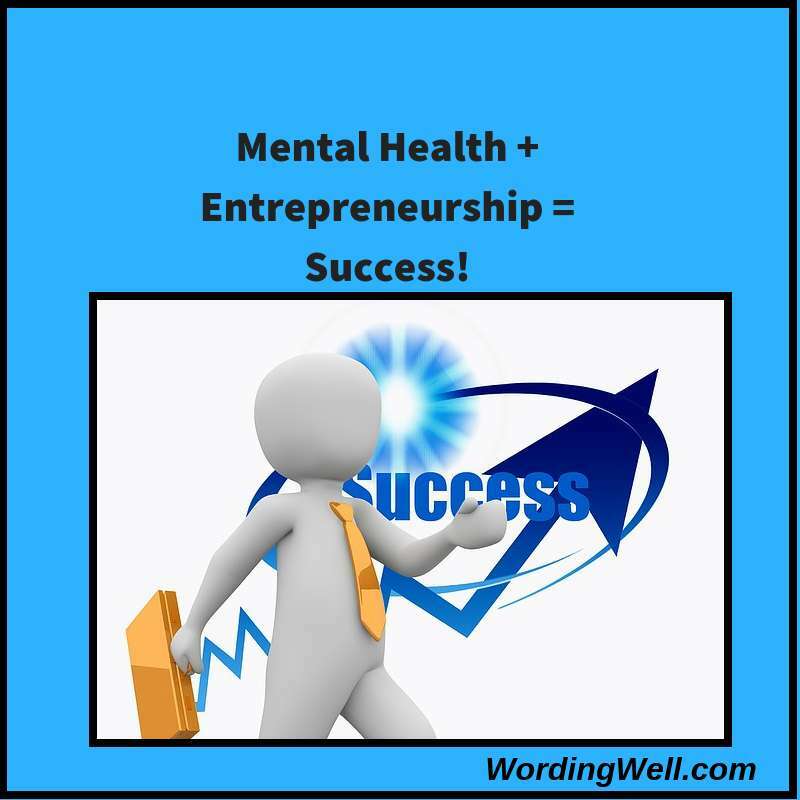 If you battle mental health issues, (1) creating your own business opportunity, (2) being your own boss, and (3) being able to customize a work schedule that suits your needs might be the perfect answer for you. (1) When you create your own business you have greater control and, to a degree, are able to customize your work experience. (2) Not having to deal with managers or bosses that don’t understand mental illness can be freeing. You know what you can handle. You know what you need to do to be healthy. They don’t. The more control you have over your situation, the better you can work to take care of yourself. This is a perfect reason to be your OWN boss. (3) Also, there is the satisfaction of being able to do something you love. You can follow your passion when you become an entrepreneur. Doing so might be what you need to help you get through some of the days that might seem hopeless when you are working for someone else doing something you aren’t too excited about. Are There Downsides to Being an Entrepreneur? Of course, there are cons to becoming your own boss, and these have to be considered before diving in with both feet. Starting your own business can be quite stressful. If you suffer from anxiety, mood swings, anger issues, or any other number of problems, they can be aggravated by the stress. A lot can ride on your shoulders when you are running your own business, and there isn’t always a guarantee that, in the end, it will all work out. It can be a large responsibility to take on and that can lead to more stress! An article in Forbes’ magazine titled 7 Reasons Entrepreneurs Are Particularly Vulnerable to Mental Health Challenges mentions some of the issues that should be considered, but don’t necessarily have to be a barrier to success. One resource you can turn to for information on how to navigate through symptoms of mental illness and improve your chances of success is the advice page at BetterHelp. You may also want to contact BetterHelp about setting up an online therapist that you can communicate with from the comfort of your home at convenient times that can fit right into your schedule. You can turn to your friends and family, of course, to help you with your day-to-day problems. In my case, however, my family does not always support me emotionally, so I have learned to do the 5 things mentioned in that article to help me cope. I have also sought counseling, which helped me deal with my mental health issues. I Did It and YOU CAN DO IT, TOO! Most people know I’m an author and a freelance writer. I reap many benefits from being an editor, too. 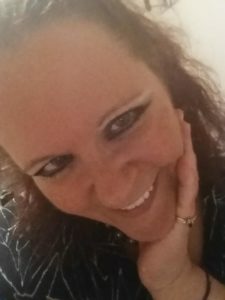 I also wrote From Nope to Hope, I created this successful blog, and I built up a business that I am proud of. It hasn’t been easy, but I did it… despite depression, addiction, and other mental health challenges. I am proof that it can be done and that it can be a positive, fulfilling experience. My business gives me a sense of pride and purpose. I’m also happier than I have ever been! Indeed, starting and running your own business can be tremendously satisfying. It isn’t for everyone, BUT it might be exactly what you need. If this is the direction you choose, go into knowing that YOU, TOO, CAN BE SUCCESSFUL! This is true for me, and it can be true for you, too! I’m too lazy too busy editing to put a lot of time into blogging these days. How to Cold-Pitch Freelance Writing Clients — This one is from Leaving Work Behind and it outlines the three main steps to cold-pitching. For Writers of all Kinds! All of these resources are fantastic! Plus… as my way of thanking you for being a reader of Wording Well, I want to give you some free stuff. Find my freebies on my Resource Kit page! Plus, there are many more (and I mean MANY MORE) Resources for Writers, Authors, and Freelancers) here as well! Enjoy… and let me know what you want MORE of… in the comments! Regular posting is an essential aspect of blogging and experienced bloggers are well aware of that, but the term “regular posting” varies widely in definition, depending on the blog’s popularity, size, scope, nature, etc. In general, it is ineffective to post each day if you have a small blog or are a new blogger who doesn’t know these 5 things. When you post every day (and multiple times a day at that), you are not giving enough time for each one of your posts to get the attention it deserves, and that holds true for your social media shares as well. When a new subscriber or a visitor chances upon your blog or Facebook page only to see that you hardly have any comments or reactions on your last few posts, you will not make the right impression. If your blog is relatively new and small, you don’t want to divide the attention of your target audience with too many posts. Instead, you should be looking to make sure that each of your posts, few as they may be, gets the limelight it needs to gather views, reactions, comments, and shares. Figuring out the right word count for each piece is far more important than being concerned about posting content frequently. When you concentrate on the quality of each post that you make, you won’t need to post new content all the time because quality beats quantity all the way. On the other hand, when you are trying to write too many blog posts within a short time, some compromise to the overall quality and/or comprehensiveness of each post is unavoidable. Make your posts longer, more informative and interesting enough to catch the attention of your target crowd, and to hold it for a longer period of time. However, do keep in mind that too much fluff is never appreciated, and even smaller, 200-word posts have their own place on a blog. To have an exact idea about how to deduce which post needs how many words, checking out The Guerrilla’s guide on ideal blog post length is recommended. If you are posting too often, it is likely that most of your readers will miss at least some of your posts. Each of those unread posts is, for all intents and purposes, a lost opportunity to bond with your readers, as well as an effort in futility. Over time, this loss of bonding will lead to loss of subscribers and followers, as they may feel overwhelmed and unconnected. This is not to say that you shouldn’t post regularly, of course, because many blogs do benefit heavily from that practice. It just means that posting a bit less frequently and allowing each article to get the maximum exposure that it possibly can is more useful, before making the next post on your blog or social media channel. How often do you post? Do you have a posting schedule? Share your experiences in the comments! Do you know how to run a successful Instagram account? Having an Instagram account is a key component needed for success in today’s world. Bloggers, businesses, freelancers, and anyone else possessing a brand should all have an Instagram account. If you need some tips on how to use Instagram to benefit you, you can use the ones found in this post to successfully run your Instagram account. Creating a successful online social media presence takes a lot of hard work, especially if you are running it by yourself. You have to put on a lot of hats to make sure that you stay relevant online. A lot of online influencers start out by being the video editor, cameraman, marketing associate, and face of their own brand. Instagram uses the visual nature of social media to entice people to increase their presence and build a solid follower base to help them succeed at what they do. Do you want to know more about how to become a freelance editor? Being a freelance editor requires many skills but the rewards of working as one are PHENOMENAL! I am in the process of designing a course that will teach you EVERYTHING about being a work-from-home editor and entrepreneur. Plus, I want to get to know you so that I can give you EXACTLY what you need to succeed! So, DO you want to know more about how to become a freelance editor? If so, sign up NOW!